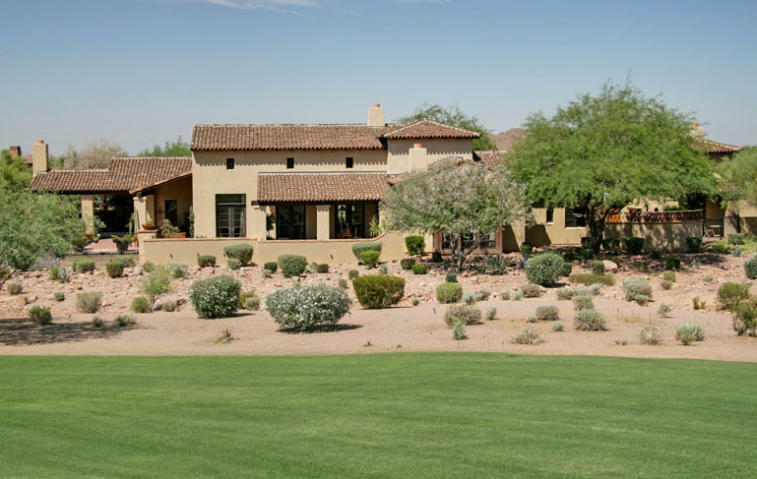 Phoenix Arizona Area Information includes Phoenix real estate market facts, lists major employers and searches of condos and homes for sale in Phoenix AZ by home feature, school district, school, zip code, price range, popular subdivisions, etc. View Phoenix homes and condos along the Phoenix Light Rail Line that are desirable because they are more affordable than homes in the outlying areas and offer a shorter commute to work along Phoenix Central Avenue, flights at Sky Harbor airport, Phoenix Suns basketball and Arizona Diamondbacks games, ASU and out to the Mesa Conventional Center. Owners of homes for sale in Phoenix AZ are well advised to do all repairs and spruce up and update older homes with a manicured lawn, new appliances, paint and carpet and stage your home so it is renewed, clean, uncluttered and depersonalized. Buyers will pay top dollar for a turnkey home they can move into with nothing to be done. Looking for a unique home from another era? Phoenix Arizona has 35 residential districts on the National Registry of Historic Places where homes reflecting the charm and character of the 1920s and 1930s are found on tall palm tree-lined streets including my favorites in Alvarado, Cheery Lynn, Encanto-Palmcroft, Fairview Place, F.Q. Story, Los Olivos, Margarita Place, Roosevelt, Villa Verde, and Woodlea. View Phoenix Arizona historic homes for sale close to downtown Phoenix and Central Corridor and a Google map of Phoenix Historic Districts or a street map to refine your search. Listings of homes for sale in Phoenix AZ are updated daily. Search Phoenix real estate of condos and homes for sale in Phoenix AZ, but don't expect to find many foreclosures. Multi-unit properties located in good areas remain very popular investments. The average sales price of Phoenix AZ homes for sale is up 4% to $330,898, closing at 98% of the list price after 66 Days on Market. See all Phoenix Real Estate Stats. Fun things to see and do in Downtown Phoenix Copper Square. 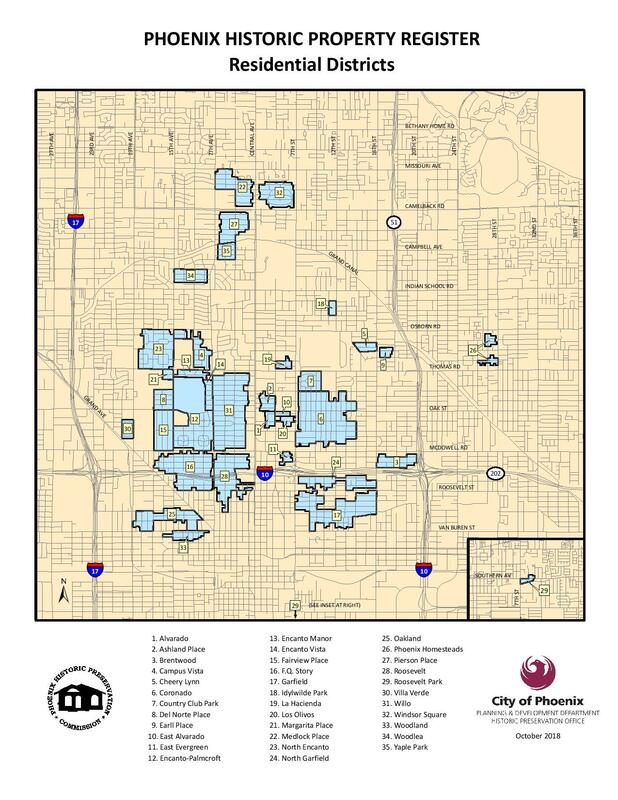 The Phoenix community profile provides the town's history, employers, utilities and the City of Phoenix website is a comprehensive resource for local information including Public Safety violent and property crime maps. Report cards for the Phoenix area schools so you can quickly compare. Phoenix economic development report provides employment figures, cost of living and business incentive programs. Phoenix is a premier destination, with more than 300 sun-filled days a year and an average temperature of 72.6 degrees. That accounts for everyone's "sunny disposition" here. More than 50 percent of the population is between 18 and 54 years of age, which is younger than the national average with a median age of 32. The greater Phoenix area is a $50 billion marketplace driven by technology. World-leading companies such as Intel, Avnet, Motorola, Allied Signal, Honeywell, State Farm, Wells Fargo, and Boeing Company have chosen Phoenix for their corporate and regional headquarters. Phoenix Sky Harbor International Airport is the eleventh busiest in the U.S. and the world for passenger traffic for takeoffs and landings, handling more than 44 million travelers. The airport serves more than 100 cities with non-stop flights, and British Airways and Air Canada are among carriers providing international flights to destinations such as London, Toronto, and Mexico. Phoenix has a strong private company employment base with prestigious major employers: Banner Health, Fry's Food, Honeywell, Walmart, and Wells Fargo. As the state capital of Arizona, the fifth largest city in the U.S. at 1.5+ million population, the largest city in the State and the largest city in the County of Maricopa, Phoenix houses Federal, State, County, and City government entities. The largest public employers are Arizona State University, City of Phoenix, Maricopa County, State of Arizona and USPS. Closed sales of homes for sale in Phoenix AZ DOWN 16%, average SOLD Price UP 4% and inventory low at 3.7 months, comparing Phoenix real estate sales for March 2019 MLS SOLD data vs. March 2018, as shown in the table below. Phoenix investment real estate is in high demand because it is less expensive than newer, outlying areas and produces positive investment rental income with 20% down payment when financed. Price Comparison of Detached and Attached Phoenix Properties - the average March 2019 sales price of homes for sale in Phoenix AZ is up 4% to $330,898 and the average sales price for Phoenix Condos, Lofts, Townhouses, Patio Homes for sale is down 2% to $208,943. With 5425 homes for sale in Phoenix AZ, based on the current absorption rate of 1449 homes sold in March 2019, there's a 3.7 month supply of homes for sale in Phoenix AZ and is a Seller's Phoenix Real Estate Market. Before purchasing a home, review 2017 - 2018 school year performance Letter Grades for Metro Phoenix schools compiled by the Arizona Department of Education, based upon standardized test results released October 5, 2018. Metro Phoenix students are served by 325 public schools in 30 independent school districts along with more than 200 charter and private schools. All Phoenix real estate MLS listings, with the exception of Arizona retirement homes, name the specific elementary, middle and high school whose boundaries encompass the particular Phoenix home for sale. See Phoenix Elementary School Districts Map and Phoenix High School Districts Map and then visit individual Phoenix school districts websites and boundary maps. Looking for homes located in the best performing Phoenix school districts or a favorite school? Search Phoenix homes for sale by Phoenix zip code: 85044, 85045, 85048, 85008, 85016, 85018, 85020, 85028. Contact Sam today to help you find your ideal Phoenix home or investment. My full services include a complimentary appointment with a professional staging consultant to offer suggestions for increasing your home's Buyer Appeal. Contact Sam to request additional information and return often to my website to view continuously updated real estate listings of homes for sale in Phoenix AZ.